Superintendent of Technical Education, and Government Astronomer. The earliest map of Sydney, prepared shortly after the arrival of Governor Phillip in the first Fleet during 1788, shows the position of a small observatory near the extremity of a point on the west side of the cove now known as Circular Quay. The observatory was built to house the instruments provided by Dr. Maskelyne, Astronomer Royal at the time, at whose request observations were to be made of one of the comets selected by Dr. Halley for his researches, the return of which was then expected. The point of land on which the observatory was built was called after Dr. Maskelyne, but later on its name was changed to Dawes’ Point, after Lieutenant Dawes, in whose care the instruments were placed, who directed the building of the observatory, and who used the instruments in the observation of the Comet. Unfortunately, there seem to be no records of this observatory, nor of the work done in it, but its position was near the site of the southern pylon of the great Bridge now being built to span the Harbour. A plate commemorating the observatory is to be placed on the pylon. In 1822, thirty-four years after the arrival of the first Fleet, another observatory was established in New South Wales. This was erected by Sir Thomas Brisbane, who, being well versed in the theory and practice of astronomy, was attracted by the opportunities for discovery presented by the southern sky, then but very little known. Dr. Halley had voyaged in 1677 to the Island of St. Helena, and secured observations of the places of 341 southern stars, which were published in catalogue form about a century later. The Abbe de Lacaillé had also done some very important work at the Cape of Good Hope in the middle of the 18th century, and observed the places of 9,766 stars, which were tabulated and published in catalogue form later on. But beyond the work of Halley and de Lacaillé, practically nothing was known of the wealth of southern celestial bodies away from the reach of observers in the Northern Hemisphere. Sir Thomas Brisbane brought with him two observers, Dr. Rümker and James Dunlop, and a number of astronomical instruments. Shortly after his arrival, the erection of an observatory at Parramatta was completed, and observations were commenced. The expenses of bringing out the two observers, and of the astronomical instruments, were defrayed by Sir Thomas Brisbane from his private purse, so that the undertaking in the interests of science was very large-hearted on the part of this early Governor. For some years work went on there rapidly. The places of 7,385 stars were observed and recorded, and were afterwards published in what is known as the Parramatta Catalogue. For this fine work the Royal Astronomical Society of England awarded its Gold Medal to Sir Thomas Brisbane. James Dunlop assisted with the observations of the places of stars, and made, besides, many observations and measures of double stars. For a catalogue of 621 nebulae and clusters, and one of 253 double stars, Dunlop was also awarded the Gold Medal of the Royal Astronomical Society. Later on Rümker was given similar recognition by the Royal Astronomical Society for work done at Parramatta. At the expiration of the term of Sir Thomas Brisbane as Governor, and before his departure from the Colony, the Government purchased the instruments and decided to carry on the observatory. Rümker, who had left the Parramatta observatory, was offered the position of Government Astronomer, and acted for about four years. He then accepted the Directorship of the Hamburg Observatory, where later on he distinguished himself. Dunlop, who in the meantime had travelled to England in order to present his own catalogues to the Royal Astronomical Society, was then offered the position, which he accepted and held from 1831 until 1847, when, through failing health, he was forced to resign. By this time, the Parramatta Observatory and instruments had become out of repair, and either through lack of funds, or want of interest in its continuance, it was decided to abandon it and bring the instruments to Sydney, where they were stored. The piers which supported the transit telescope at Parramatta Observatory still exist in position, and nearby, an inscription on an obelisk records the one-time existence of the celebrated observatory. Brought to New South Wales by Sir Thomas Brisbane. Three-and-a-quarter inches aperture and 46 inches focal length, and mounted on a Seaton Block. 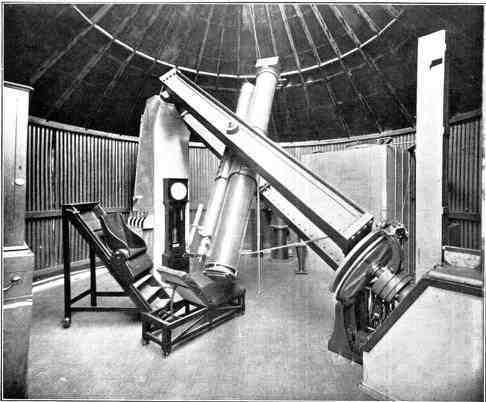 it was one of the first telescopes set up in the Southern Dome of the Sydney Observatory, having been brought from Parramatta. It is now set up in the vestibule of Sydney Observatory. Without doubt, the action of Sir Thomas Brisbane in establishing the Parramatta Observatory — the first real observatory in the Southern Hemisphere and the work done in it, was a fine beginning for science generally, and astronomy in particular, in the young colony of New South Wales, and it was owing to this auspicious start that in Sydney, and at Melbourne and Adelaide, astronomical observatories were established, and that Australia was led thus early in its history to take an important part among the older nations in the practice of astronomy. The clock shown on the left is by French maker, Breguet. This was used by Dr. Rümker in making the first pendulum experiments in Australia. The clock on the right is the Sidereal Clock used at Parramatta. Both clocks are still in good order, but are not used for exact time-keeping. From 1847 until 1855 New South Wales was without an official observatory, though proposals to establish a system of time determination with time signals by the dropping of a time ball were constantly under consideration. Captain Phillip King was one of the persistent advocates, not only for the establishment of a time service, but for the setting up of an official observatory in which regular astronomical work could be carried on. 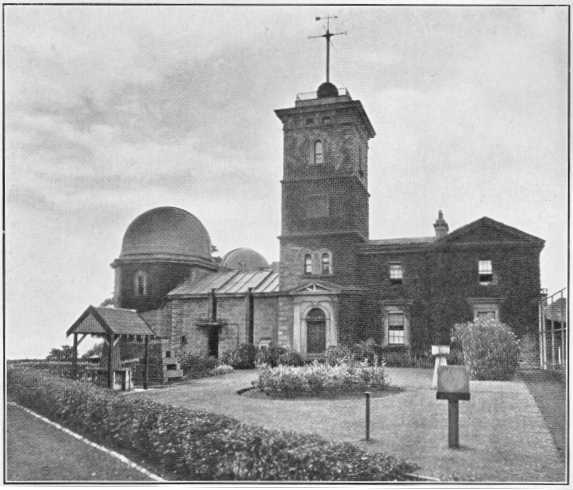 The idea of having the observatory at Sydney was largely strengthened by the action of the Royal Astronomical Society in passing a resolution strongly urging the carrying on of astronomical work at this end of the world. It is interesting to note that Sir John Herschel was president of the Society and in the chair at the time when the resolution was carried. Sir William Denison, Governor-General, arrived in 1855, and immediately became interested in the proposals for the observatory, and in a spirited memorandum to the Legislative Council, urged that immediate steps be taken to establish an observatory. Sir William Denison pointed out the necessity for a time service, but also stressed the value of the observatory as an aid to scientific discovery and the dissemination of knowledge in this country. The Legislative Council agreed, and voted a sum of £7,000 for the erection of an observatory at Sydney, and made provision for the salary of an astronomer and a computer. The then Astronomer-Royal, Sir George Airy, was asked to select an astronomer, and recommended the Rev. W. Scott, M.A. Mr. Scott was appointed, and arrived shortly afterwards. He immediately set to work to select a site for the proposed building. With the assistance of the Governor-General, he selected a site known as Flagstaff Hill, almost above the position occupied by Dawes' Observatory. The building was commenced in 1857, and was sufficiently advanced to allow of meridian observations being commenced in June 1859. This is the building which still stands as the Sydney Observatory. It is a very substantially built structure, in Sydney sandstone, designed in the style of the Florentine Renaissance. Even originally it included a residence for the astronomer, space for the transit instrument, a tower surmounted by a dome for the equatorial, a room for the computer and an office for the astronomer. From the centre of the front of the building a tower was built 58 feet high, on the top of which was placed a time ball. A transit circle, an equatorial telescope with an object glass 3¼ inches aperture and 46 inches focal length, and three astronomical clocks, all originally from the Parramatta Observatory, were installed. Neither the transit instrument nor the equatorial telescope were found to be of very great value for observations. Mr. Scott was successful in obtaining a vote from Parliament of £800 for the purchase of an achromatic telescope, 7¼ inches aperture and 124 inches focal length, by Merz and Sons, of Munich. This instrument was mounted and ready for use in June, 1861. Though Mr. Scott only remained in office for four years, he made many astronomical observations. His determination of the latitude of the Sydney Observatory still stands. 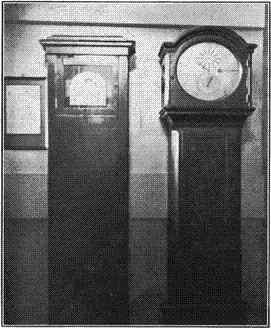 Two of the astronomical clocks, namely, one by Breguet, and another by Hardy, still remain at the Observatory, and are set up in the vestibule. The small equatorial telescope is also in existence, and is also exhibited in the vestibule. As already mentioned, the equatorial and the clocks were those brought out by Brisbane, and used at Parramatta. Neither the docks nor the telescope are of any use for astronomical work, but they are priceless relics of the celebrated Parramatta Observatory. Mr. Scott was succeeded by Mr. George Smalley, who commenced duty in 1864. Mr. Smalley had to content himself with the determination of time and minor astronomical observations, because he was of the opinion that he could not do very precise work with the transit instrument. For some time previously, the setting up of a base line, and the carrying out of a trigonometrical survey of N.S.W. had been advocated. Mr. Smalley wisely thought that he could best devote his energy to the setting up of such a base line. This he proceeded to do, and selected a site on the shores of Lake George. He met with many difficulties in carrying out his work, and probably his health suffered, because he died in 1870, before the base line was completed. This is the most precise instrument at the Observatory, and with it are determined star places for the Great Catalogue. It is also used in the accurate determination of time. He was succeeded by Mr. Henry Chamberlain Russell, who had been computer under Mr. Scott, and later under Mr. Smalley. Mr. Russell held the position until 1905. During this long period he did much to advance the science of astronomy in the Southern Hemisphere, and occupied a commanding place in the scientific life of the State. During his directorship he completely replaced the instrumental equipment, and made the observatory in this respect equal to many of the first-class observatories in the Old World. In 1872, with the assistance of the Royal Society of New South Wales, he obtained authority from Parliament to procure a large equatorial telescope and a first-class transit telescope. He purchased an object glass, 11.4 inches aperture and 12.5 feet focal length, from Schroeder, of Hamburg, and designed and had constructed in the State, under his supervision, an equatorial mounting. This telescope is still in the southern dome, and is in good working order. It is the largest refractor telescope in Australia, which perhaps is not saying very much, because it is very small indeed compared with the giant telescopes in Europe and America. The transit instrument has an object glass of 6 inches aperture and 85 inches focal length. It has two circles graduated to every five minutes of arc and each read by four microscopes. This instrument was ready for use in February 1877. It was made by Messrs. Troughton & Simms. It is a very fine instrument, allowing of observations with the highest precision, and with it is done most of the work carried out under the present programme of the observatory. In 1887 Mr. Russell went to Europe to attend the Astrophotographic Congress at Paris, as representative of the Governments of New South Wales and Victoria. At the Conference, he pledged the Sydney and Melbourne Observatories to undertake a share in the preparation of the great Astrographic Catalogue and Chart. Sydney was allotted that part of the sky ranging between 52° and 65° of south declination. On his return, Mr. Russell immediately set about starting the Sydney portion of the work. He procured a photographic object glass from Steinheil, of Munich, and had the mounting, with all the requisite accessories, made here to his own design. A circular wooden observatory detached from the main building was specially built to house this instrument. 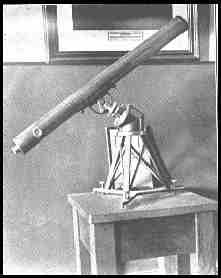 The astrograph, as it was called, was ready for use for work connected with the Astrographic Catalogue in 1891. 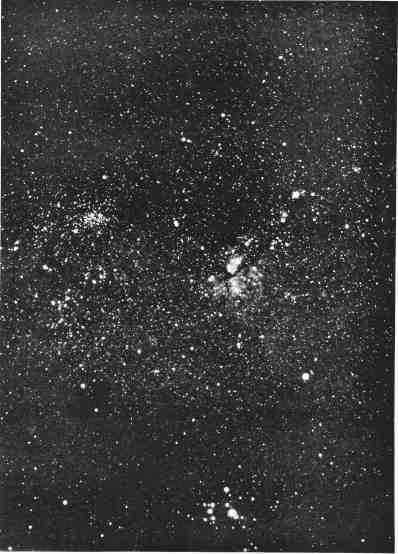 The increase of artificial light in the city interfered with photography so much that it was decided to remove the Astrograph to Pennant Hills, which was done in 1899. Since that time the photography for the Catalogue and Chart has been carried out at that branch observatory. 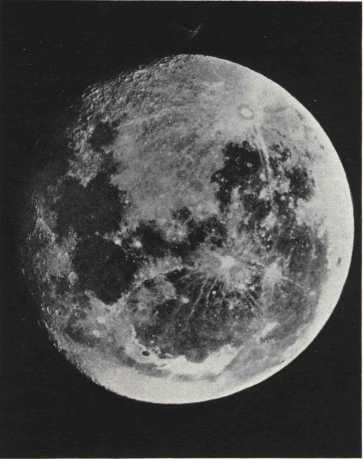 Mr. Russell greatly distinguished himself by the magnificent star and lunar photographs which he secured as a result of his experiments at the Sydney Observatory. He also made many observations of double stars, which were published. In addition to his great activities in the science of astronomy, Mr. Russell worked continuously towards the advancement of meteorology in this country. From the time of its establishment, meteorological observations were made at the Sydney Observatory. When Mr. Russell became Director, he reorganised the system of observations and did much towards developing a theory which he held that there was a definite periodicity in the droughts in this country. He also invented many instruments which were used in meteorological observations. Mr. Alfred Henry Lenehan was appointed Government Astronomer as successor to Mr. Russell. Under his direction the routine programme of previous years and work on the photographic catalogue was carried on as previously. He died on the 2nd May, 1908. From the time of his death, until 1912, Mr. W. E. Raymond acted as Officer-in-Charge. In 1912 Mr. W. E. Cooke, formerly director of the Perth Observatory, was appointed Government Astronomer and also Professor of Astronomy at the Sydney University. 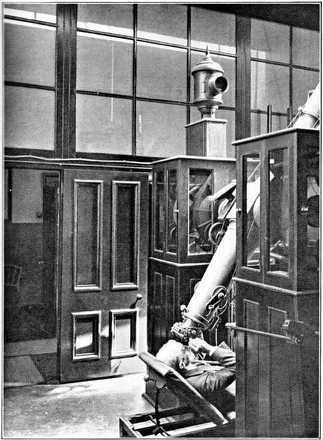 Professor Cooke was convinced that the Observatory should be removed to a more suitable site, and that more modern equipment should be obtained. His attempts to get a new observatory established were unsuccessful, and he decided to set to work with the equipment available. The preparation of a catalogue of 1,068 intermediate stars was completed and published by 1920. He proceeded with commendable rapidity with the photographic observation and reduction of plate stars and publication. When he retired in 1927 he had published six volumes of the Star Catalogue. Professor Cooke greatly distinguished himself through the improvements which he was successful in having carried out in the method of observing and reducing the plate stars necessary to the preparation of the Catalogue. At the time of Professor Cooke’s retirement, the Government of the day decided to close the Observatory. Great objection to the proposed action was taken by the University and by the scientific societies in the State, with the result that it was decided to continue the observatory, but with a very much reduced staff. The Government was more ready agree to its continuance because of the necessity to maintain a time service and to secure a supply of astronomical information necessary for civil purposes. The Observatory was transferred to the Department of Technical Education, and the writer was made immediately responsible for direction. The whole of the buildings, including the Astronomer’s residence, were completely renovated, and the equatorial telescopes and other instruments were put in good order. Since then the routine work of the Observatory has been carried out successfully, and work has proceeded steadily with the Star Catalogue. Since the Observatory was transferred to the present Director, four volumes of the Star Catalogue have been published. Sir George Airy, Astronomer-Royal of England was much interested in the future of the observatory to be established in Sydney, and set forth for the guidance of Mr. Scott his views what its objectives should be. His description of what should be done in a national Observatory was very inspiring at the time, and is still so to anyone interested in the advancement of astronomy. It is to be regretted that space will not allow of its being quoted in full, but it may be mentioned that Sir George Airy pointed out that the Observatory should be a source of all information of an astronomical character required for civil purposes; that it should be engaged in active research in some branch of astronomy, and that it should be a centre from which would radiate an educational influence that would help to improve the general culture of the community. It is very pleasing to find that, commencing with Mr. Scott, all the Directors some, perhaps, more than others have steadfastly kept in view the ideals set forth by Sir George Airy, with the result that the Sydney Observatory has been carried on in accordance with a programme of three very definite objectives. In the first place, it has to supply information based on astronomical observation and computation for civil purposes, including the determination of time, preparation of information for the daily press of times of sunrise and sunset, phases of and times of rising and setting of the moon, and memoranda connected with the major planets. It is astonishing how much information is continually required, by the legal and commercial community especially, about the position of either the sun or the moon at particular times. Furthermore, the Press looks to the Observatory for explanation of phenomena which continually occurs, and for opinions about astronomical discoveries, news of which is received very frequently from other parts of the world. There is also a wide range of inquiries from the public. The time must be determined each, day by the use of the transit instrument, with the utmost accuracy, and transmitted by wire and wireless over the State. The time ball at the top of the tower is dropped automatically, through apparatus in the Mean Time Clock, exactly at 1 p.m. every weekday. The wireless time signals are transmitted, also automatically, from the Mean Time Clock, through VIS Radio Station at Pennant Hills, from 12.55 p.m. to 1.00 p.m., and from 8.55 p.m. to 9 p.m. each day. At the Observatory is installed a seismograph, which automatically records earth tremors and earthquakes happening in different parts of the world. Records of occurrences of this kind are reduced, and returns are forwarded to the Central Bureau in Europe. In this way the Sydney Observatory is taking a definite part in a worldwide organisation for the observation and study of earthquakes. The second purpose is the pursuit of some definite, original scientific work. This end is being successfully aimed at in the work which has been, and is still carried on in the preparation of the New South Wales quota of the Star Catalogue. It is not easy to explain so that everybody may immediately understand the value of astronomical observation and all that is involved in trying to understand the relationship of our little earth with the millions of suns visible in our universe and in the universes beyond. It ought, however, to be easy to realise that the human mind is immediately benefited, if only in its sense of proportion, by the knowledge that is now possessed of the distances, motions and physical properties of the stars, and the vastness of the systems in which they move. It is through the science of astronomy that we have gained this knowledge and rid ourselves of narrow-mindedness and superstitions, which, at least, were the cause of much unhappiness. It is also easy to show that much of the routine of daily life depends for its organisation on our knowledge of astronomy. Measures of time, surveying and map making, and navigation are all matters of practical astronomy, and the degree of accuracy reached in each of these departments of activity depends entirely on our knowledge of astronomy, so that our material as well as our spiritual needs are ministered to by those who use telescopes and who study the meaning of what is observed. On the other hand, the needs of astronomers have been such as to continually stimulate the study and advancement of the supporting sciences of mathematics and physics. Both of these sciences have found their highest application in the solution of astronomical problems, and have advanced as astronomy has needed them. It is reserved for the few to make the great and spectacular discoveries that mark epochs in the history of astronomy, but discoveries of this kind depend entirely upon the accumulation of vast quantities of data secured by patient and unostentatious observation. The preparation of the great photographic Star Catalogue is a fine example of work of this kind. The purpose in view in preparing this great Catalogue is to measure accurately the present positions of millions of stars, in order that astronomers in the future may be able to discover changes, and so arrive at solutions of some of the greater outstanding problems that confront us. Every part of the work involved in preparing it must be done with meticulous accuracy, but it is, nevertheless, dull and uninteresting, and requires great devotion on the part of those carrying it out. It was estimated by the late Professor Turner that each of the eighteen observatories of which Sydney is one engaged in the work would have to measure on the average at least 500,000 star images. The reduction of each of the measures involves the use of many figures, so that each observatory will literally use millions of figures in carrying out its part of the undertaking. The work necessarily extends over many years. The Sydney Observatory is yet quite a long way from completing its share, but it is gratifying to be able to claim that it is steadily progressing with its work, and that each portion of the work completed is something secured in the way of valuable data for the use of future generations of astronomers. The third purpose is to minister towards the increase of general scientific knowledge in the community, and very specially so in regard to astronomy. In order that the public may have an opportunity of having a first hand acquaintance with the most prominent objects in the heavens, the Observatory is open to visitors every Tuesday night on written application to the Government Astronomer. If the sky is clear visitors are given an opportunity of looking through one of the telescopes under the direction of a capable assistant astronomer. If the night be cloudy a lecture, always illustrated with lantern slides, is given and explanations about the use of the various instruments are also made available. This privilege is much appreciated by the public. The attendance annually is about 600, and applications for permission to attend are always accumulating. In addition to this, demonstrations are given annually to students from the University and from the Teachers’ College. The Director makes it a point to frequently deliver public lectures dealing with some branch of astronomy. These lectures are given at various centres throughout the city and suburbs. The monthly meetings of the New South Wales Branch of the British Astronomical Association are held in the Library of the Observatory. Connected with the Observatory is an advisory body known as the Board of Visitors. The members of the board are leading scientists, who meet periodically and are consulted by the Government Astronomer on all matters relating to the work of the Observatory. At the branch Observatory at Pennant Hills. This is a telescope fitted with a camera, which is used to take Star Photographs for the Great Astrographic Catalogue. It is very rigidly mounted in the English style. 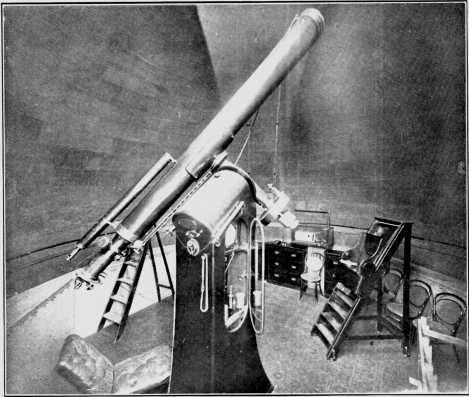 The guiding telescope at the side of the large tube is the 7¼-inch Merz refractor, purchased during the time when Mr. Scott was Government Astronomer. The Sydney Observatory is a very interesting place. It is on a fine site and very attractive in appearance. It is full of interesting relics of the past, and is sufficiently well equipped to do useful scientific work. Moreover, it possesses an exceedingly valuable library of astronomical literature. There are very few libraries in this country possessing such complete copies of most of the celebrated astronomical publications. It is very unfortunate that, commencing as far back as the time when Mr. Smalley was Director, there have been proposals continuously for its removal to a better site. Undoubtedly an astronomical observatory should be situated in the country, and in a climate most suitable for observation. On the other hand, in order to meet civil needs, the Observatory should be easily accessible, and for educational purposes there is a definite advantage in having it in a populous centre. Owing to the introduction of electrical power, there is not nearly so much. smoke in the atmosphere as formerly, but the amount of artificial light has certainly increased. Experience shows that during the early hours of the morning the skies are quite clear, and, excepting for photographic work, provide conditions sufficiently satisfactory for useful astronomical observation. In view of the circumstances, it should be continued, because it is a very useful institution, providing necessary information for civil purposes, taking a useful part in a great International Astronomical Programme, and is also of great value as a means of disseminating a knowledge of astronomy in the community. The time may come when there will be sufficient funds to remove it to a better, but not necessarily inaccessible, position. It may occur to some that because there is a great National Observatory at Canberra there is no necessity to carry on observatories in the different States. Such an impression would be quite wrong, because there is plenty of work for as many observatories as can be efficiently carried on. The Observatory at Canberra is devoted to Solar and Astro Physics. The Sydney Observatory is an institution engaged in what is known as Positional Astronomy, that is, the accurate determination of the Star Places. The Observatories in the other States have also their own special programmes. Moreover, for educational purposes, there should be a well-equipped observatory in every capital city of the Commonwealth.